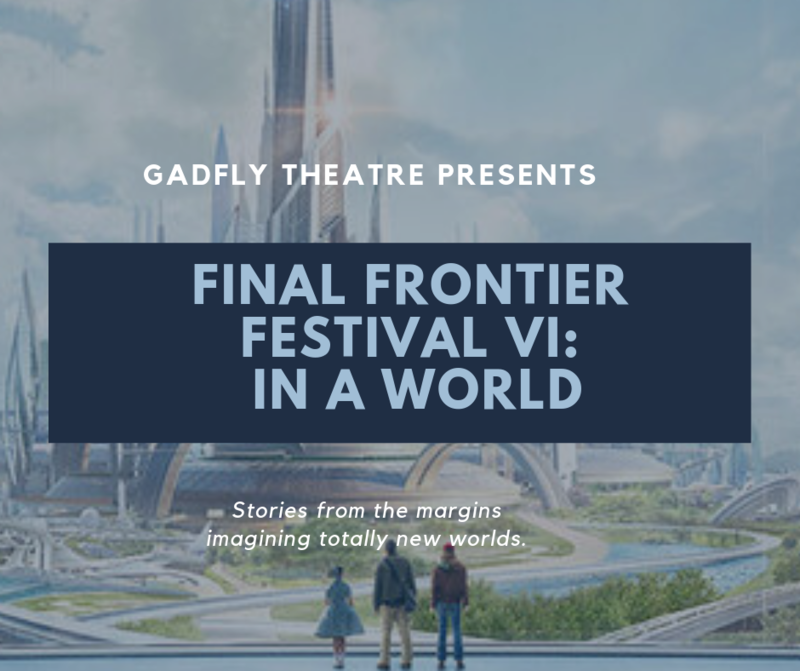 For the first time ever, Gadfly is ALSO accepting proposals for devised works, works-in-progress, and improvised pieces as part of their submission process for The Final Frontier Festival. Shows still must fit the time frame, theme, character, and mission constraints outlined below. To submit, send a .docx or PDF outlining the project you hope to create for this festival along with an e-mail featuring some biographical info about yourself and your devising or improv team’s history together (even if that’s “none”) to [email protected]. All selected projects from this category will receive a total show budget for the project leader to assign as they see fit including performer pay and their own stipends. Each show will be given three performances over two weeks. Due to budget constraints, devising or improv teams must be based in the Twin Cities or the surrounding suburbs (Minnesota). Gadfly Theatre Productions is a queer, feminist theatre company devoted to breaking binaries, fighting racism, and making art as accessible as possible while still paying artists. The Final Frontier Festival is a passion project of our two non-binary artistic directors who wanted to highlight the conversations about social justice happening within geek spaces and put some creative output from those conversations on stage. This festival will close Gadfly’s 9th season and will be the festival’s 6th anniversary. Please e-mail your script submissions to [email protected] with the play's title and your name in the subject line and a brief synopsis in the body. ALL plays that fit the years’ theme and our queer mission will be considered regardless of experience. All scripts selected will play three times over the course of two weeks and receive performance rights paid per performance.